← Welcome, welcome, come in. Make yourselves at home. I’m having a hard time seeing your full post – everything on the right is overlapplng. Any suggestions? Haven’t a clue, Jen – it looks fine if I open it in my browser. Sorry, maybe somebody techier has something useful to say. By the way, I quoted a passage of yours in my blog. So helpful and I am loving your words. Thanks for the comments. There’s quite a lot of alcohol in my house, mostly liquor because I bubble wrapped and boxed up all the good wine (we are moving house in a month), it doesn’t seem to be a big issue. My feeling is that if I want to drink it’s pretty easy to get hold of, and I’m reluctant to put too many restrictions on LH. We don’t go out much because of very young children, his weekly hobby doesn’t involve alcohol, so I’d be effectively asking him to be teetotal with me. Which I think is overkill. I can tell I’m going to love following your journey on your blog! I’m at 5 months today without alcohol- that Sunday feeling of yours- Alcohol? Who cares! !- gets more and more common. So be of good cheer, and let up on yourself!! You’ve already done what were for me the very hardest days!! I felt exactly the same way – it seemed too easy at first. I was really high on that pink cloud for the first month, and I expected it to come crashing down. But while I can’t say I’m out of the wood completely at 75 days sober, I can say that I haven’t had that crash so far. I’ve had moments of irritability, some cravings (not too bad), and some fleeting nostalgia for my former drunk self. But it is just so much better sober — everything is — that my pink cloud pretty much never went away. Drinking made me enormously depressed, and now I’m not depressed. 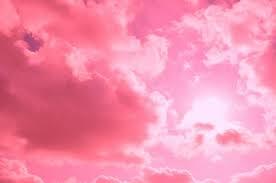 That, alone, still feels like a pink cloud to me. I love your blog, by the way – can’t wait to follow your journey. assembling a toolbox, absolutely. having it at your fingertips whenever Wolfie taps at the door. having some tools in reserve in case you need them, yes. am not on commission 😉 but if you don’t already listen to the Bubble Hour podcasts (free) or Belle’s podcasts (worth every cent) then I would highly recommend those. I listen to them on my iphone in the car and they have really helped me get into this new mindset.